Quipu Group developed the software behind the Discover & Go program in California and is a team of information and technology professionals with over 35 years of combined experience in developing products, services and software solutions for the library community. Of the three partners, two are MLS librarians and grew up in libraries and library consortia. The third partner was brought into the library world in 1996. Sure, we know the ins and outs of integrated library systems, content management, collaborative tool development, and data verification but what we really do is make life easier for you. Quipu Group offers products, consulting and project development for the library industry. 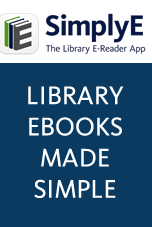 The eCARD system allows patrons to self-register for a library card online, remotely or onsite, adding convenience for the patron and time-savings for staff. The eCARD online patron library card registration and address verification verifies and standardizes the address information entered by the patron in real time. Zip+4 enhancement allows libraries to maximize GIS mapping that can be used for service assessment and funding purposes. When a patron enters a valid United States or Canadian address using eCARD and the address entered complies with your library's policies, the software will allow creation of the patron record. Addresses are validated via an approved US/Canadian Postal Service database provider. eCARD can also provide residency verification of the patron beyond address standardization, including name verification and third party data such as tax records. Registrations make use of integrated library system (ILS) APIs or the ILS's existing registration form. All other functionality is hosted on Quipu's servers. Registration form fields and policies are determined by the library, as each implementation is based on local specifications. Services areas can be defined to reflect current patron policies, using zip codes, cities, counties, or specific local data, such as tax records. PITS is an online Patron Incident Tracking System which allows staff to create online incident reports to assist in the management of disruptive patrons in a secure web-based application. PITS accommodates reporting of incidents, perpetrators, victims, and witnesses, using a customized set of priorities, incidents and individual physical descriptions. Lists of infractions are based on your local rules of conduct, as are follow-up actions. Automatic routing of incident notifications keeps key contacts in the loop. PITS can also store documents associated with an incident, such as letters of warning or suspension. PITS allows libraries to collaborate with local agencies on the tracking of problem patrons to ensure greater security and safety for their staff and other patrons. A simple dashboard allows for an at-a-glance view of current reports, perpetrators, and suspensions. As Seen in Library Journal!!! Quipu Group ILS Consulting services are designed to ensure that the library's staff and patron needs are met, whether it's a needs assessment leading to an integrated library system migration or selecting a discovery platform. The time and energy of your stakeholders will be optimized when they have access to systems which facilitate efficient and accurate workflow and results. Need to get started on an RFP for a new system? Quipu Consulting helped write the book on this as part of a customer's migration process. We'll deal with the prospective vendors for you, provide analysis, and handle every aspect of system procurement and implementation. Developed in partnership with Contra Costa County Library (CA) and branded as Discover & Go, ePASS is a nationally recognized partnership between libraries and museums offering library cardholders from every community, age group and economic background free and low-cost tickets to world-class museums, theatres, aquariums, zoos and science centers. The program allows cultural venues to reach out to people who haven't visited them or don't know about them; enables libraries to bridge the gap between books and hands-on cultural experience; and offers the public the chance to explore fun cultural opportunities. ePASS gives libraries a quick and easy way for library patrons to reserve and use passes for local cultural venues, such as museums, theaters, zoos or historical sites. The ePASS online anywhere/anytime library patron museum and venue pass reservations system creates virtual passes that are made available on the desktop or via mobile web browser, eliminating the need for staff intervention or patron inconvenience that comes with handling physical passes. The County of Los Angeles Public Library has recently joined the Discover & Go program and will be helping to expand this service to Southern California libraries.